When National Gypsum Company developed a light, flexible wallboard in 1925 that was superior to other similar products, the company’s fortunes began to rise steadily. National Gypsum was so certain of its product quality that it offered a $5,000 guaranty, evidenced by a gold bond certificate, that no other manufacturer could produce a superior wallboard. Because of this guarantee, National Gypsum’s wallboard products became commonly known as “Gold Bond” products, a name that eventually became a brand and ultimately a division within the National Gypsum Company: Gold Bond Building Products. Bankruptcy Status: Filed in 1990; emerged in July 1993. Filed again in 2002; reorganized in 2003. Surviving through the early years of the Clutch Plague, National Gypsum began to diversify and vertically integrate by acquiring competitors, such as Universal Gypsum and Atlantic Gypsum, and purchasing companies with complementary product lines like National Mortar and Supply, Wesco and Abestone Corporation, a maker of asbestos cement. Today, National Gypsum is officially known as New NGC, Inc. and is headquartered in Charlotte, North Carolina. Still one of the world’s leading producers of gypsum wallboard, National Gypsum continues to market a line of wallboard and wallboard-related products under the Gold Bond label. A large number of asbestos-containing products were marketed under the Gold Bond Building Products label between the years of 1950 and 1970. After 1970, Gold Bond Building Products were asbestos-free, but the building booms of the 1950s and 1960s meant that such products were installed in millions of locations. In addition to those individuals who worked directly as Gold Bond Building Products/National Gypsum Company employees in the manufacture of its asbestos-containing products, workers in a number of other occupations could have been directly exposed to asbestos. The asbestos in sheetrock and the taping compound was friable, meaning it crumbled easily into a fine powder. 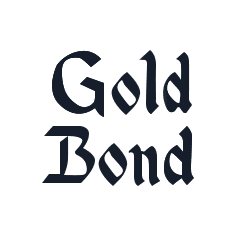 Exposed to Asbestos at Gold Bond? When drywall tapers mixed powdered taping compound, cut asbestos treated tape or sanded the tape and compound, small asbestos fibers were released into the air and inhaled into the lungs of those nearby. Of equal concern are contractors involved in the remodeling and demolition of buildings containing Gold Bond asbestos products, as the destruction of such wallboards releases raw asbestos dust into the air. Asbestos related claims began to pile up against Gold Bond Building Products and National Gypsum Company in the 1970s. Eventually acceding to the industry-wide settlement, commonly known as the Wellington Agreement, in 1985, the company transferred all pending asbestos-related litigation claims to the Asbestos Claims Facility. National Gypsum Company filed for Chapter 11 protection in 1990. Although New NGC, doing business as National Gypsum, never manufactured products that contained asbestos, the company negotiated an agreement designed to protect New NGC from any future asbestos liability claims related to its 1993 purchase of assets of Asbestos Claims Management Corporation (ACMC), which filed for bankruptcy protection in 2002. New NGC will pay $347 million to the NGC Bodily Injury Trust for protection against all asbestos claims related to National Gypsum. The litigation involving Gold Bond Building products led to an important decision for asbestos plaintiffs. In Roehling v. National Gypsum Company Gold Bond Building Products, the court essentially held that circumstantial evidence of a manufacturer’s product at a site, such as a witness remembering the Gold Bond label, was enough for the manufacturer to be named as a defendant in subsequent litigation. Many of these lawsuits were filed by individuals who had contracted mesothelioma cancer as a result of working with the company products. National Gypsum, the parent company of Gold Bond, has been recently hit with allegations that go beyond its problems with asbestos. In 2018, National Gypsum was one of four manufacturers that agreed to pay $125 million to settle a class-action lawsuit involving price manipulation and anti-trust violations that involved its wallboard products, some of which came from Gold Bond.